Motion from the floor: McNally:That any motion to refer be made and conducted according to Robert’s Rules of Order, with a mover, seconder, debate, and votes recorded. / Defeated. Against: Ferris, Horsman, Leonard, McEvoy, Orcherton For: Alpha, Loring-Kuhanga, McNally, Nohr. So, anything can be referred by a Chair without a motion to do that or a recorded vote, to some other meeting. McNally: Board make available the audio recordings of Board meetings be publicly accessible on the SD61 website via the drop-down menu “Board of Education” / Board Meetings, through a link placed above “Public Meeting Process”. (Not exactly. This is what I sent in: That the audio recordings of Board meetings be publicly accessible on the SD61 website via the drop-down menu “Board of Education” / Board Meetings, through a link placed above “Public Meeting Process” .) Orcherton moved referral to the Ad Hoc Committee on public engagement. / Defeated. For: Horsman, Leonard, McEvoy, Orcherton Against: Alpha, McNally, Loring-Kuhanga, Nohr. Moved Alpha: The question of recording be referred to the Board meeting of January 21 for consideration at that time. / Carried. For: Alpha, Loring-Kuhanga, McEvoy, McNally, Nohr . Against: Horsman, Leonard, Orcherton. Loring-Kuhanga’s February 2012 question period motion travelled a route on and off agendas for almost a year until recent referral to an Ad Hoc Committee;. The Audio Files motion referred to this Board meeting from OPPS January 14 by Alpha was left off this agenda. (Nohr recently proposed a Stewardship action that would track motions and related action and progress; it was defeated in a previous meeting.) On the missing referred motion : Moved Alpha: That the question of recording be referred to the Board meeting of January 21 for consideration at that time. Alpha noted this omission and the motion was placed on this agenda under F. New Business /Notice of Motions. McEvoy / Ferris: The question of recording be referred to the Ad Hoc Committee on public engagement. / Carried. For: Alpha, Ferris, Horsman, Leonard, Orcherton. Against: Loring-Kuhanga, McNally, Nohr. Nohr: Board write a letter of endorsement supporting a Public System of Integrated Early Care and Learning, otherwise known as the $10/Day Child Care Plan. / Carried unanimously. Nohr: Board encourage awareness of the $10/Day Child Care Plan among our partner groups and request that they endorse the program as well. / Carried unanimously. Ferris: Board support the National Historic Site Application for Victoria High School. (The motion was amended to include writing a letter in support of this application.) / Carried unanimously. Seismic Project Identification Report Capital project Bylaw No.111909 Victoria High (Bylaw attached to agenda) and Seismic Project Identification Report Capital Project Bylaw No. 115658 Quadra Elementary School (Bylaw attached to agenda) / Ferris moved to refer two seismic motions to the February 18 Board meeting. / Carried unanimously. McNally: Board write a letter to the Minister of Education asking for the entire amount for SD61 currently held in holdback funds, including the amount that covers BCPSEA membership, be immediately released to SD61. Horsman moved to amend amend by adding after “membership”, “funds previously paid for by the Ministry of Education” . Accepted by the mover and the Board. / Carried unanimously. Nohr: Board develop a performance evaluation for itself with goals, criteria, and a specific timeline for completion. Amended with the approval of the mover to add “Board performance”, and “using the BCSTA Board review package”. 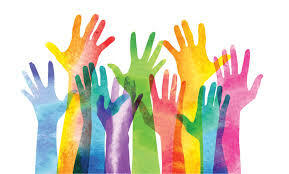 McNally moved to amend the amendment: Add “guided by a facilitator agreed upon by consensus (The motion after amendments approved by vote is basically: Board develop a Board performance evaluation using the BCSTA package, guided by a facilitator agreed upon by consensus.) / Carried. For: Alpha, Ferris, Horsman, Leonard, Loring-Kuhanga, McNally, Nohr Abstained:Orcherton. Board write a letter of endorsement to Premier Christy Clark and the Leader of the Opposition Adrian Dix supporting the Community Plan for a Public system of Integrated Early Care and Learning, otherwise known as the $10/Day Child Care Plan. / Carried unanimously. 2013-2014 School Year Calendar. / Carried unanimously. Three readings of a Capital Project Bylaw needed to get a refund from the Province for seismic upgrade at Vic High. / Carried unanimously. Three readings of a Capital Project Bylaw needed to get a refund from the Province for seismic upgrade at Quadra Elementary. / Carried unanimously. National Historic Site application for Vic High. / Carried unanimously. Letter to Minister of Education asking for the entire amount of holdback funds to be released. / Carried unanimously. Board develop a Board performance evaluation using BCSTA Board Self-Evaluation package and establish goals, criteria and a specific timeline for completion guided by facilitator agreed to by consensus. / Carried unanimously. Board give all three readings of the 2012/2013 Amended Annual Budget Bylaw at the meeting of February 18, 2013. / Carried unanimously. The [SD61 ] Amended Annual Budget Bylaw for fiscal year 2012-2013 in the amount of $208,580,448 be read three times and that the Chairperson and the Secretary Treasurer be authorized to sign seal and execute this Bylaw on behalf of the Board. / Carried unanimously. Two motions were presented for the first time by Horsman and Orcherton as “recommended”. “Recommended” motions come out a of a Standing Committee, or apparently may be recommended by senior administration, and if carried by majority vote at a Standing Committee, are presented to the Board as “recommended”. This is the first time these two motions have appeared on any agenda, so they came as a surprise. It’s not clear which body, if any, “recommended” them. Perhaps the mover and seconder recommended them. I’d love to “recommend” all my motions, too. “Recommended motion” from Horsman and Orcherton: Board express its regret that an individual Trustee made comments about the Victoria Confederation of Parent Advisory Councils (VCPAC) that attempted to undermine its work to represent the parents’ voice on educational issues in our District. Horsman withdrew the motion. Orcherton proclaimed disappointment as she still supports the motion. At the November 19, 2012 Regular Board meeting the following motion carried: Board direct the Superintendent to ensure that no new routers be placed in any school until such time as the Board has changed its present direction. Orcherton: Board allow WiFi to be installed (or used) at Victor Street School, since it is a unique school within the district, as per the request of the PAC, parents and professionals that work with the children at the school. / Carried. For: Alpha, Ferris, Horsman, Leonard , Nohr, Orcherton Against: McNally Abstain: Loring-Kuhanga (McEvoy absent) This motion will come forward as “recommended”, to the March 25 Board meeting. Approve 2013-2014 School Calendar. / Carried unanimously. Approve 2013/2014 Carbon Neutral Program Capital Project Bylaw No. 126588: (School District 61 pays about $180,000 each year into the province’s Carbon Neutral Fund. This project is funded from that tax, by a grant from the provincial government.) All three readings of the Bylaw. / Carried unanimously. Project: Tillicum Elementary School Boiler Project and Energy Study. / Carried unanimously. McNally: Board write a letter to the BC School Trustees Association asking for support of efforts to reduce default speed limits from 50 km/h to 40 km/h in municipalities, thus increasing traffic safety for all users of roads and public right-of-ways, especially children and youth travelling to and from schools. / Withdrawn after discussion as being too vaguely worded in terms of what the “support” would look like. Nohr: Board present the District Class Size and Composition Report or School Organization Report 2012-2913 at the April 2013 public board meeting and also make it available of the District website. (SD39 Vancouver does make this information public. There has been no uproar over “discrimination”, which the Victoria Confederation of Parent Advisory Councils believes is a problem in this context.) The Chair (Orcherton) ruled the motion “out of order” so it was not dealt with. Nohr: Board write a letter to the premier and Minister of Education expressing concern about the Board’s ability to maintain its service levels for student achievement in the Greater Victoria School District as the District will be responsible for new and unanticipated costs. Nohr accepted a proposal to amend by striking “for student achievement in the Greater Victoria School District “. Nohr would like the letter from the SD61 Board based on the Central Okanagan letter on the same topic. Motion to refer the motion and issue to the next OPPS meeting (April 8). / Motion to refer carried. Nohr: Board write a letter to the Minister of Education requesting that the government review their cooperative gains mandate and provide the additional funding for a wage increase for our CUPE support staff employees. Motion to refer to the next OPPS meeting (April 8). / Motion to refer carried; unanimous. Nohr: Board write a letter to the Premier and Minister of Education expressing concern about the unanticipated increase in the number of downloaded costs and the resulting adverse impact on the District. These costs include: teachers’ pension plan, MSP increase – 4% (Jan. 1, 2013 and Jan. 1, 2014) , general inflation for goods and services (2%), hydro – 1.44%, transition back to PST-April 1, 2013 and declining enrolment (-258 FTE). Leonard moved to table to April 15 Board meeting. (Should be “refer”) / Carried unanimously. Board write a letter to the Premier and the Minister of Education expressing concern about the unanticipated increase in the number of downloaded costs and the resulting adverse impact for the district. Examples of these costs include the teachers’ pension plan increase, MS SP rate increase, Hydro rate increase, the transition back to GST/PST and general inflation. / Carried unanimously. Board write a letter to the Premier and the Minister of Education requesting that the government provide for the wage increase for any negotiated settlements with teachers, CUPE staff, Allied Specialists, principals / vice principals and exempt staff. / Carried unanimously. 2013/2014 Annual Budget Bylaw: Recommended Motions: i) Board approve Budget Bylaw. / Carried unanimously. ii) Board agree to give all three readings of the 2013/2014 Annual Budget Bylaw at the meeting of April 17, 2013. (Motion to be carried unanimously). / Carried unanimously. iii) Board 2013/2014 Annual Budget Bylaw in the amount of $195,672,515 be [read three times] And that the Chair and the Secretary-Treasurer be authorized to sign, seal and execute this Bylaw on behalf of the Board. / Carried. For: Ferris, Horsman, Leonard, McEvoy, McNally Against: Alpha, Loring-Kuhanga, Nohr. Nohr: Board purchase the RF meter from Gigahertz Solutions to regularly monitor our schools’ RF levels to confirm that all areas with hotspots (access points, routers, cell phones, iPads ) are within limits set to the precautionary level of 1000 milliwatts /square metre to ensure student and employee safety, including averages and peak levels and that this information be reported to the Board. / Defeated. For: Loring-Kuhanga, McNally, Nohr Against: Ferris, Leonard, Orcherton. McNally: SD61 IT department research and report back to the Board on costs for purchase, setup and maintenance of a live feed camera(s) in the Board room, the objective being live streaming and archiving (archive function to include key-word searches and RSS function) of Board meetings online. Chair asked if the mover would withdraw. Declined. Leonard moved to table. / Carried unanimously. “Recommended motion”: Board receive the 2013-2014 Achievement Contract. / Unanimously accepted. Final vote at the Board meeting, June 17, after which this will be a public document. Nohr: Board direct a joint technology and facility department effort to develop a protocol and process to measure classroom radiation exposure levels in areas with access points, cell phones, laptops, tablets and mobile computing systems and that this protocol would measure classrooms, computer labs, hallways, offices, staff rooms, etc. to develop a baseline of ambient, average and peak EMR levels in all our schools and that the radiation exposure levels be reported to the Board on a quarterly basis , evaluating all schools yearly. / Defeated. Against: Ferris, Horsman, Leonard, McEvoy, Orcherton For: Alpha, Loring-Kuhanga, McNally, Nohr. McNally: Board agenda as set out in Section 10 of Bylaw 9360, General Meeting of the Board, include at E a list of all outside organizations that have assigned Trustee representatives. Leonard suggested withdrawal as Public Engagement Committee is looking into Bylaw 9360. McNally: Will not withdraw. Ferris moved to refer to the above Committee. / Carried. For: Alpha, Ferris, Horsman, Leonard, McEvoy, McNally, Orcherton. Against: Loring-Kuhanga, Nohr. Approve the 2013-2014 Board of Education and Standing Committee meeting dates. / Carried unanimously. Board make available to the public via the District website, the schedules of fees that have been approved by the School Planning Councils for the District’s Specialty Academy [sports] programs. / Carried unanimously. Board receive the Aboriginal Enhancement Agreement. / Carried unanimously. McNally: notice of motion: For September 2013 Board meeting: Board establish ongoing Trustee representation to the District Health and Safety Committee, assignment to be made by the Board Chair from amongst trustees who express interest, assignment by the Chair to be for a one year term, assigned Trustee to report to the Board regularly in In Camera or public meetings as appropriate; the District Health and Safety Committee to be open to attendance from any Trustee. Ferris: Notice of Motion re trustee remuneration. Loring-Kuhanga: notice of motion (approximate wording): That the Board of Education of School District 61 (Greater Victoria) adopt the “Whole School Suicide Prevention Model” for all middle and secondary schools and provide annual presentations to students and staff in order to increase an awareness, education and prevention of suicide amongst our youth.